Age doesn’t have to look the way it used to. It’s more subtle. More gradual. Shouldn’t your anti-age be just as subtle?Introducing Sculptra® Aesthetic (injectable poly-L-lactic acid). Not an overnight miracle. Long lasting. Not a quick-fix. The first facial injectable that gives you subtle results over time. Replacing lost collagen. Giving you a more natural-looking appearance, without giving you away. A full treatment of Sculptra Aesthetic, an average of three injection sessions over a few months, can last up to two years. * So you have more time to see how sensational subtle can be. Welcome to the new age of anti-age. Collagen is a key structural component that keeps skin youthful looking and smooth. As you age, your body’s collagen production decreases, and you may begin to see wrinkles. Sculptra® Aesthetic (injectable poly-L-lactic acid) works to correct shallow to deep facial wrinkles and folds,* as it replaces lost collagen, which can help provide a refined, more youthful looking appearance. Sculptra Aesthetic works to replace lost collagen in a series of treatments administered by a Sculptra trained physician. On average, 3 injection sessions are needed over a period of a few months. The number of injection sessions and the number of injections per session vary from person to person. Sculptra Aesthetic works within the deep dermis. Within the deep dermis, your skin’s structure is reinforced as Sculptra Aesthetic helps to replace lost collagen. This reinforced collagen structure provides a foundation that gradually restores the look of fullness of your shallow to deep facial wrinkles and folds* that has been depleted over time. The result? Sculptra Aesthetic is different because it gradually and subtly corrects these facial wrinkles. This can provide a refined, more youthful looking appearance that can last up to 2 years. ** Side effects of Sculptra Aesthetic may include injection site discomfort, redness, bruising, bleeding, itching, and swelling. Sculptra® Aesthetic (injectable poly-L-lactic acid) is made from a synthetic material called poly-L-lactic acid, which is gradually and naturally absorbed by the body as it works to replace lost collagen. Poly-L-lactic acid has been used safely for decades in dissolvable stitches and as a facial injectable since 1999 in over 30 countries. Side effects may include injection site discomfort, pain, redness, bruising, swelling, and/or tenderness. Small bumps and larger lumps under the skin in the treated area may also appear. These typically go away on their own.You should talk to your doctor if you experience any side effects or have questions after treatment. Some participants also reported bruising, bleeding, and/or itching at the injection site. With each treatment session, your doctor will provide you with aftercare instructions that may help minimize side effects. Aftercare may include massaging and icing the treated area. Do not apply ice directly to the skin. To learn more about proper aftercare, see the aftercare section.No allergy testing is required prior to treatment. Sculptra Aesthetic should always be administered by a physician that has been specifically trained on Sculptra Aesthetic. 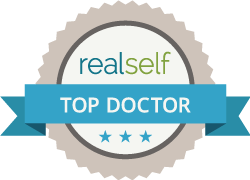 We can help you find a Sculptra trained physician near you. Choosing the anti-aging treatment that’s right for you. • How does Sculptra Aesthetic work? • Will it make me look like I’ve had work done? • Is there any other treatment that works like Sculptra Aesthetic? • I know that more than one treatment session may be required. How many do you think I would need? • How long might the treatment effects last? • What are the possible side effects of treatment with Sculptra Aesthetic? • How soon after treatment can I resume my normal activity? • Is there any ingredient in Sculptra Aesthetic that I may be allergic to? Be sure to tell us about all the medicines you are taking, even over-the-counter products or treatments. Use in the skin near the eyes is not recommended. Sculptra® Aesthetic is different in the way it works. Sculptra® Aesthetic (injectable poly-L-lactic acid) is a facial injectable that works gradually in a series of treatments — on average, 3 injection sessions over a few months — for a subtle, more youthful looking appearance. Discover anti-age for the modern age. Is Sculptra® Aesthetic right for you? ** Safety and effectiveness of Sculptra Aesthetic have not been evaluated in areas other than nasolabial wrinkles and folds in clinical trials. *** Based on pre-clinical evaluation in animals. Sculptra Aesthetic is thought to work in a similar process.